Scope Laboratory Hydraulic Press with heating facility for PVCand allied polymers. Capacity 1) 2KW heaters (1.5 each) 220 VAC/50Hz. Dimension 8"x 7" Aluminum (Hindalium) hard platens. 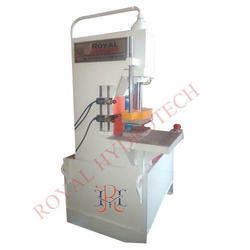 We are highly engaged in manufacturing an exclusive range of C Frame Hydraulic Press.